Staple-type cardboard coin holders and coin flips need to be stapled to insure that the coin stays in the holder. 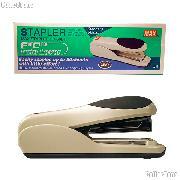 A traditional stapler will leave the backs of the staples sticking out slightly. 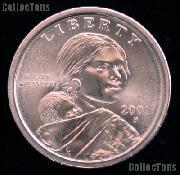 The staples can then come into contact with other coins in your collection, or the holders they are in, resulting in scratches and other damage. Max staplers bend the backs of the staples flat so they will not scratch or rub against other coins or coin holders and they stack neat and flat for easy coin storage. These staplers are for both staple-type cardboard holders and coin flips. 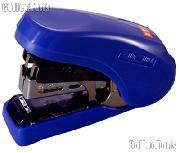 There are three sizes of Max Flat Clinch staplers. The Large Desktop Stapler and the Small Desktop Stapler are compatible with both the MAX Standard Flat Clinch Staples and standard staples that you can get at any office supply store. 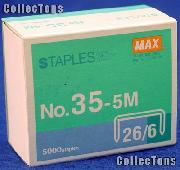 The Handheld Mini Stapler is only 4 inches long but can only be used with the MAX Mini Flat Clinch Staples.